River Bend Blog has finally left Baghdad and moved to Damascus. Here is her moving report of her first impressions and first month as a refugee in Syria. The previous post, prior to this thread had a lot of us squibbling over issues such as democracy, human rights, political views etc. Sometimes ( after reading this thread ) we get re acquinted with our humanity again, when my wife and her family were stuck in Lebanon during the Hezbolaah/Isreali confrontation, and i lost contact with her for five days while they tried to cross the border into Syria to get to some relatives house for safety, I was always detached from the physical side whatever I witnessed on the news ( by ambivelance I did not care if either side suffered casualties, I thought everyone was to blame and all the participants were to blame for this conflict). Until i felt a potential for loss, I started caring that the sooner peace is concluded , the better for everybody. Today after reading this refugees story, and relaying what my wife told me about how the Syrians treated them during this episode I am compelled to say, that whatever the Regime does, it will not sway my love for The Syrian people and populace in dealing with this situation regarding the refugees! Make it a book, i urge you; the story is moving, the style is deep and light, humour and emotion travel hand in hand from Baghdad to Damascus. Many thanks for sharing with us your experience. Allow me however to challenge your last (political) sentence. Was “unity stolen from us in 2003”? did americans steal Saddam-era true unity? shia and kurdish revolts were crushed in blood in the aftermath of the Q8 adventure; ulemas were assassinated; was Dujail a pure nightmare, an american judicial fiction? It could be instead that the fall of the Baathi regime only liberated a sectarian violence controlled and at the same time fuelled by repression over decades. It could be that the (Michel Aflak) Baathi denying of true society and building institutions on laicity imported from french military training schools brought heavoc. It could be that the iraqi tragedy reveals that societies cannot be revolutionized from upwards, changed by decree, and shd be instead governed according to their historical structures until they evolve thru time, contact with the world, reduction of social and cultural disparities. 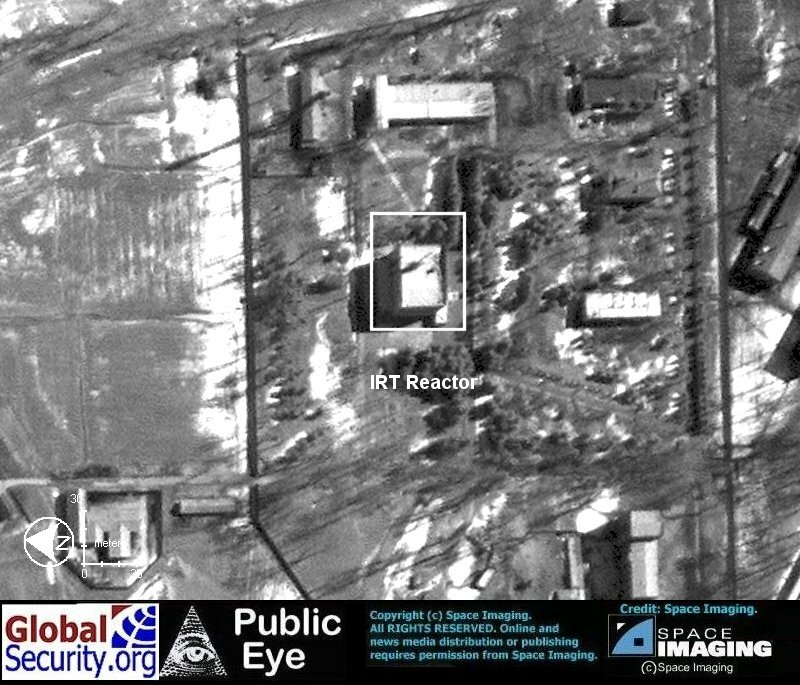 Independent experts have pinpointed what they believe to be the Euphrates River site in Syria that was bombed by Israel last month, and satellite imagery of the area shows buildings under construction roughly similar in design to a North Korean reactor capable of producing nuclear material for one bomb a year, the experts say. Photographs of the site taken before the secret Sept. 6 airstrike depict an isolated compound that includes a tall, boxy structure similar to the type of building used to house a gas-graphite reactor. They also show what could have been a pumping station used to supply cooling water for a reactor, say experts David Albright and Paul Brannan of the Institute for Science and International Security (ISIS). U.S. and international experts and officials familiar with the site, who were shown the photographs yesterday, said there was a strong and credible possibility that they depict the remote compound that was attacked. Israeli officials and the White House declined to comment. If the facility is confirmed as the site of the attack, the photos provide a potential explanation for Israel’s middle-of-the-night bombing raid. The facility is located seven miles north of the desert village of At Tibnah, in the Dayr az Zawr region, and about 90 miles from the Iraqi border, according to the ISIS report to be released today. Albright, a former U.N. weapons inspector, said the size of the structures suggested that Syria might have been building a gas-graphite reactor of about 20 to 25 megawatts of heat, similar to the reactor North Korea built at Yongbyon. “I’m pretty convinced that Syria was trying to build a nuclear reactor,” Albright said in an interview. He said the project would represent a significant departure from past policies. ISIS, a nonprofit research group, tracks nuclear weapons and stockpiles around the world. Israel, which has nuclear weapons of its own, has not said publicly what its warplanes hit or provided justification for the raid. Syria has denied having a nuclear program. But beginning construction of a nuclear reactor in secret would violate Syria’s obligations under the Non-Proliferation Treaty, which requires all signatories to declare their intent when such a decision is made, according to sources at the International Atomic Energy Agency, the U.N. nuclear watchdog. The new report leaves many questions unanswered, such as what Syria intended to use the unfinished structures for and the exact role, if any, of North Korea in their construction. Also unclear is why Israel chose to use military force rather than diplomatic pressure against a facility that could not have produced significant nuclear material for years. The new details could fuel debate over whether Israel’s attack was warranted. Albright acknowledged the difficulties of proving what the site is, in part because the roof was put on at an early stage, blocking views of the foundation and obscuring any potential reactor components. In construction of other types of nuclear reactors, the roof is left off until the end so cranes can move heavy equipment inside. Some nuclear experts urged caution in interpreting the photos, noting that the type of reactor favored by North Korea has few distinguishing characteristics visible from the air. Unlike commercial nuclear power reactors, for example, a North Korea-style reactor lacks the distinctive, dome-shaped containment vessel that prevents the release of radiation in the event of a nuclear accident. “You can look at North Korea’s [reactor] buildings, and they look like nothing,” said John E. Pike, a nuclear expert and director of GlobalSecurity.org. “They’re just metal-skinned industrial buildings.” The proximity of the building to a water source also is not significant by itself, Pike said. But Brannan, of ISIS, combed through a huge amount of satellite imagery to find a site along the Euphrates that matches a reactor’s specifications as well as descriptions of the attack site. The compound’s distance from populated areas was a key detail, since reactors are usually isolated from major urban populations. The site is also close to an irrigated area, which would explain statements by some officials privy to details of the attack that the facility was located near orchards. A small airstrip about two miles away could have been used to transport personnel to the site. U.S. and foreign officials tracking the incident said that Syria is presently trying to remove remaining structures at the site. The International Atomic Energy Agency has acquired its own aerial photographs but has not finished analyzing them, according to an IAEA source. ElBaradei also said an airstrike could endanger efforts to contain nuclear proliferation. Interesting discussion of the earlier ABC News story here. I have read you from the beginning and I believe you published a book. If I can be of any help, and even otherwise, do leave me a message on my website. I cannot write to your site because all blogspot sites are blocked.